Note from Michael and Josh: Whilst we still intend to cover some of the big contemporary issues of the day; we are looking to populate the blog with a series of more regular shorter updates of Bible passages that speak to us, snapshots of our day-to-day lives, quotes and other juicy titbits that might be of benefit to our readers. At my Church, a few men are meeting with two aims: (1) to study the word; and (2) to socialise, to get to know each other better. In our Bible readings we are learning about Titus and about doing good. Today, I want to briefly talk about the qualities of being an ‘elder’. Titus 1:5-9: just for elders? The reason I left you in Crete was that you might put in order what was left unfinished and appoint elders in every town, as I directed you. An elder must be blameless, faithful to his wife, a man whose children believe and are not open to the charge of being wild and disobedient. Since an overseer manages God’s household, he must be blameless—not overbearing, not quick-tempered, not given to drunkenness, not violent, not pursuing dishonest gain. Rather, he must be hospitable, one who loves what is good, who is self-controlled, upright, holy and disciplined. He must hold firmly to the trustworthy message as it has been taught, so that he can encourage others by sound doctrine and refute those who oppose it. (Titus 1:5-9). Great passage is it not? But do we read this and think this is only for elders in the church? Do we by pass it because we think it is not relevant for us? Whether you’re male, female, elder, deacon, new believer, old believer, this passage should be speaking to us. First we must consider the context, Paul is writing these qualities, because the church there is struggling with what is going on around it, the church needed elders who would direct the church to be Holy and upright in the sight of the world and God. The church was in such a state, that Paul starts the rebuilding process from the top. But does this mean that these qualities are only for the elders? No, these are qualities every believer needs be striving for. We all need to be self-controlled, upright, holy and disciplined, and Paul speaks to us directly. If we expect these qualities of other men, why shouldn’t we expect it of ourselves? Elders need to be wise, they do need to know their doctrine and they need to lead, and it is a calling, but we are all called to take a role in our local church, in ministry, and we all should reflect Christ, which these qualities do. A word, that we perhaps overlook in this passage is ‘hospitable’ and it is a word that crops up quite a few times in the New testament. As Christians, we should be hospitable, kind, caring, helping others, putting others first, loving and generous; we should indeed love what is good. I don’t know about you, but it can sometimes be hard to do such things. Hard to love those who hate you, kind to others even on a bad day, hospitable to those around you, the list goes on, and I think, if we believe that God works in us, then we must strive to do good, to LOVE to do what is good, and not do it because it is a ‘command’. Sometimes we may think some passages are not relevant to us, but they are, and they are so important to look at and read and study. 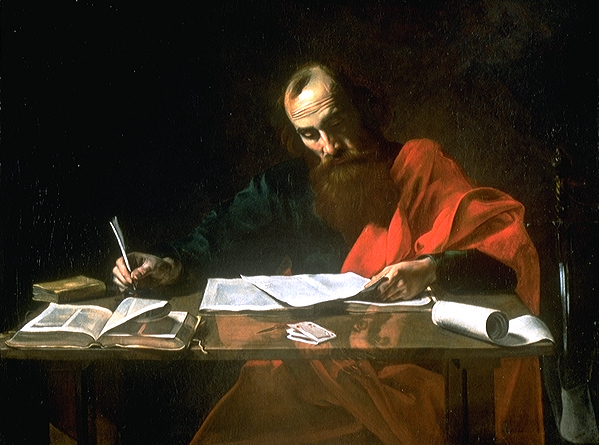 The church where Titus was located reflected the world, in its attitude (not in its equipment or technology), Paul writes the letter to tell the church to wake up, to reflect Christ, not what is around it, to have different attitudes and values, to love what is good. May we all have self-control, to be upright and holy, and be disciplined in all matters of our life, in our private times and when we doing things in public. Paul knows that the world would watch the elders of the church, the world watches you, so listen to his words and learn from them.